Buckle up boys and girls because it’s about to get super juicy and super sweet! 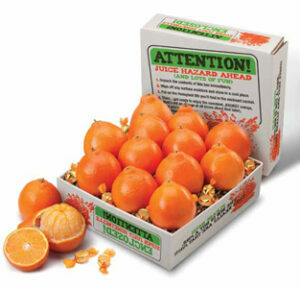 These Super Juicy Honeybells are so off the charts delicious, they must be tasted to be believed! We also include some Honeybell Candies so that you can enjoy that amazing flavor anytime!